CCP (Compacted Concrete Pavement) is a propelled type of RCC (Roller Compacted Concrete). CCP's contrasts from RCC in that it requires less compactive exertion, can be done in surface and is less demanding to build. and the most sustainable available. We construct long-lasting pavements with the highest quality. CCP has zero droops and a comparable unit weight as a run of the mill RCC blend and is delivered and built with similar determinations. The real contrasts in development are that CCP has a more drawn out "crisp" or "green" period and requires almost no rolling. Another unmistakable contrast is that we don't complete the surface with a roller. In its place, we utilize a trowel machine to make the surface more uniform and steady. 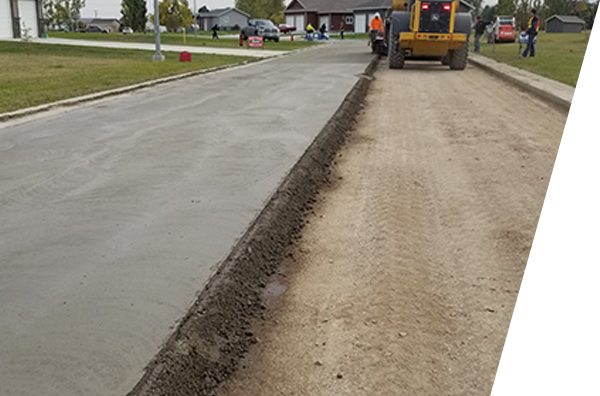 Completing the procedure, alongside the ACEiT admix, we would now be able to develop a finished surface on the asphalt that is undefined from ordinary cement.